Profoscope Rebar Locators / Cover Meters - Gilson Co. The Profoscope+ Rebar Locators/Cover Meters by Proceq are versatile, fully-integrated rebar detectors and cover meters with detection capabilities to a maximum depth of 7in (180mm). HM-196 Profoscope Rebar Locator/Cover Meter, Standard can locate a single #5 reinforcing bar to a depth of 5.5in (140mm). It is designed for one-handed operation and features rebar-proximity indicators with visual and acoustic locating aids for location and minimum cover alert. 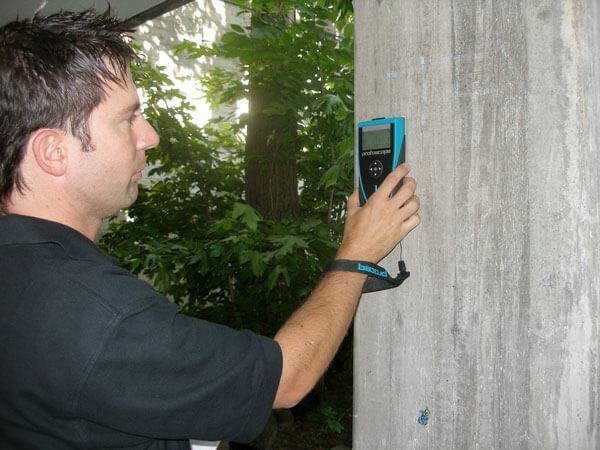 The detector can identify the mid-point between bars as well as their orientation. 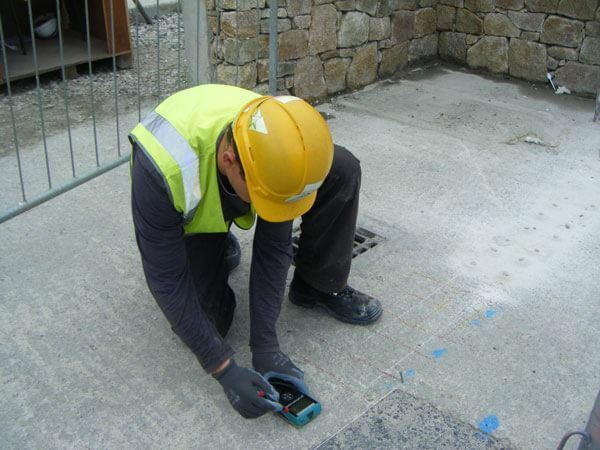 Rebar diameter can also be estimated within the specified testing range. These unique features and Proceq’s intuitive user interface make the task of locating reinforcing steel simple and efficient. The icon-based menu system on the display shows all settings, detection, and navigation information. A simple crosshair icon shows relative location of strongest signal beneath the meter. All values are easily switched between metric and imperial units of measure. The display itself has a switchable backlight for low-light environments. The 30-second sleep mode and 120-second auto shut-down features extend battery life. A start-up test kit consists of two short lengths of rebar in a cardboard box with a lid. The included kit allows for simple user orientation and training for all functions in a comfortable environment before use on a job site. A canvas carrying bag, carrying strap, batteries and marking chalk are also included. HM-197 Profoscope+ Rebar Locator/Cover Meter, Upgraded has all the same features and capabilities as the HM-196. It additionally has the ability to manually or automatically record measurements for up to 500 objects, and upload to a PC with included ProfoLink software for later analysis. 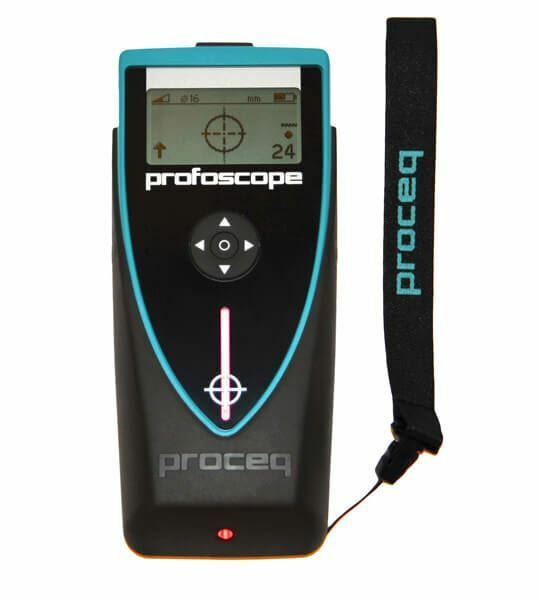 The Profoscope+ also includes a memory card and ProfoLink software. Both Profoscope units are powered by two AA batteries, and have a battery life of up to 50 hours with the display backlight off.